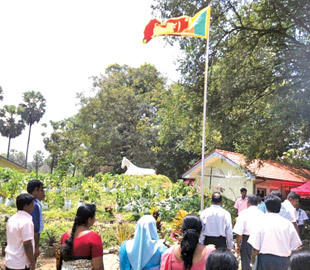 Vavuniya district , the gateway to the once terrorism-ravaged Northern province, is fast becoming the hub of economic and agricultural activities, thanks to the several mega development programs launched by the Government since the eradication of terrorism five years ago. 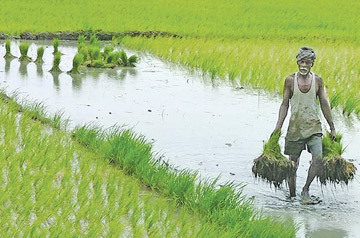 Vavuniya district is basically an agricultural district with thousands of acres of agricultural lands dotted with lakes, ponds or irrigation tanks and most of the places named after them viz : Rambaikulam, Marambaikulam, Welikkulam, Puliyankulam Veppankulam, Nelunkulam and Pavatkulam, the suffix 'kulam' denoting a tank. The sights that were an eye-sore prior to the military victory, with ruined bulks of houses and buildings, collapsed ceilings and facades riddled with bullet holes; roads with potholes and crates, shutters pulled down on business establishments and all streets virtually deserted, are no longer to be seen anywhere. There were several check points where people had to dismount from buses and other transport vehicles and walk a distance carrying their heavy baggages. The infamous Omanthai check point and the no-man's zone where people bound to and fro the North had to change over to other buses. These are nightmares of the unfortunate past. Buses are now plying to every nook and corner of the country. The main focus of the government's development programs is on promoting agriculture by renovating and rehabilitating irrigation tanks and bringing all arable lands under cultivation. Since the elimination of terrorism the investment on such development programs have been in billions of rupees, Vavuniya GA Bandula Harischandra said. According to GA Harischandra, the investment sectors, in addition to agriculture and irrigation, are road networks, water supply, electricity, health, education and civil administration. The economy of this District is mainly dependent on Agriculture and Livestock Farming. These investments facilitate the people to engage in increased productivity by using improved Irrigation facilities, electricity, improved road network etc. Consequent to the Government's development programs, the district has become significant in relation to its contribution to the GDP in spite of the fact that it is comparatively smaller in extent viz: 1,967 Sq.Km having a population of 172,000, the GA said. 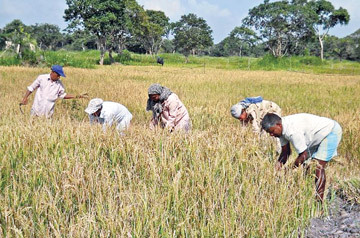 Paddy cultivation is undertaken in an extent of 18,544 Ha and the annual production has reached 83,000 tonnes. A major portion of all abandoned arable lands have been cleared and utilised for cultivation. 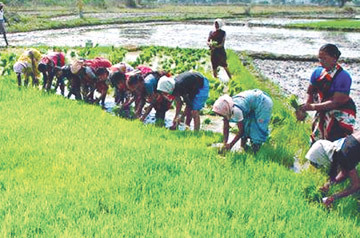 The targeted achievement of paddy cultivation by the year 2016 is 129,200 tonnes . This target is projected to be achieved through renovation of a more number of irrigation tanks, increased distribution of quality seed paddy, use of organic fertiliser and more efficient irrigation technology. During the past five years the Government has invested Rs.30.914 billion under such programs and the year-wise breakup is Rs.1.517 billion in 2009, Rs.3.263 billion in 2010, Rs.7.148 billion in 2011, Rs.13.624 in 2012 and Rs.5.362 billion in 2013, according to the GA. The Government's commitment for last year is Rs.7,613.684 MN and the total amount spent is Rs.5,362.684 Mn which is 70 percent of the total commitment, he said. Rs. 9.9 Mn for Divi Neguma, Rs. 51.50 Mn for the 'Wadakkin Wasantham', Rs. 24 Mn for the 5,000 Schools Development Program, Rs.10.74 Mn under the Decentralized Capital Budget, Rs. 129.443 Mn for the re-awakening program, Rs. 282.73 Mn under the Emergency Northern Recovery Project (ENReP), Rs. 273.37 Mn for the 'Pura Neguma' (NELSIP) program, Rs.429.17 Mn under the CARE -Irrigation (Conflict Affected Region Emergency Project- Irrigation ), Rs. 474 Mn under the CARE Road (Conflict Affected Region Emergency Project - Roads), Rs. 133.54 Mn under the NRCP program, Rs.2.39 Billion for the Road Development (Chinese-funded Project), Rs. 450 Mn for the Dry Zone Urban Water Sanitation Project, Rs. 15 Mn under the Japan Funded Poverty Reduction Program 9150, Rs. 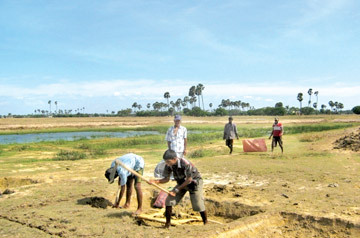 53 Mn under the Irrigation Department (Central) project, Rs. 8.5 Mn under the Irrigation Department (Provincial) project, Rs. 51 Mn under the ACAD project, Rs. 7.8 Mn under the DDA project, Rs. 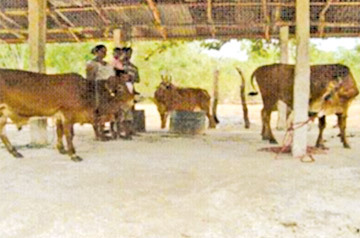 10.5 Mn under the Animal Production and Health project, Rs. 19 Mn under the Department of Fisheries project, Rs. 1.5 Mn under the Samurdhi program, Rs.2 Mn under the Department of Industries project, Rs. 179 Mn under the National Housing Development Authority Program, Rs.01 Mn under the National Youth Services Council program, Rs. 377 Mn under the Zonal Director of Education - Vavuniya South Program, Rs. 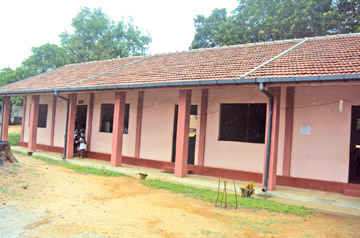 178 Mn under the Zonal Director of Education - Vavuniya North program, Rs. 135 Mn under the Vavuniya Campus program, Rs. 33 Mn under the Road Development Department , Rs.132 Mn under the Road Development Authority program, Rs. 28 Mn under the ACLG program, Rs. 332 Mn under the CEB - 'Wadakkin Wasantham' program, and Rs. 1 Billion under the Government Agent -Vavuniya program. An average percentage of 75 - 100 was utilised on most of the allocations , while in some cases only between 25 - 50 percent has been utilised up to end of December 2013, according to the reports of the Director Planning. The development activities undertaken under the fund allocations include livelihood programs, industries and trade, rural small scale enterprises and training on a rural and village level encompassing all the four Divisional Secretary areas. Under infrastructure development, formation of gravel to most of the rural and village internal roads, metaling and tarring of main roads, construction of culverts , provision of electricity and drinking water were undertaken, aside from renovation/rehabilitation of urban roads. Resettlement of displaced people was also part of the development activities, with virtually all displaced people already having been resettled with provision of the initial grants for resettlement and government assistance for construction of houses. Funds were also spent on community resource development and religious and cultural activities, including refurbishment/rehabilitation of Hindu temples, Churches and Mosques. Provision of furniture and other assistance needed for the maintenance of elders' homes and children's parks and the construction of new children's parks were also part of the programs in all four Divisional Secretary divisions. Special focus was laid on promoting sports among school children through supply of sports material and renovation of play grounds. While some new school buildings were constructed, renovation was done to schools requiring immediate renovation work. Establishing science labs in some of the schools, contributing books to school libraries, providing musical instruments and donating public address systems were also part of the programs. Strengthening the district administration, construction buildings and supplying of vehicles were also included in the development programs. In the health sector too many programs were implemented, including renovation of buildings and construction of new maternity homes. Assistance for social welfare and capacity building was extended in many places.